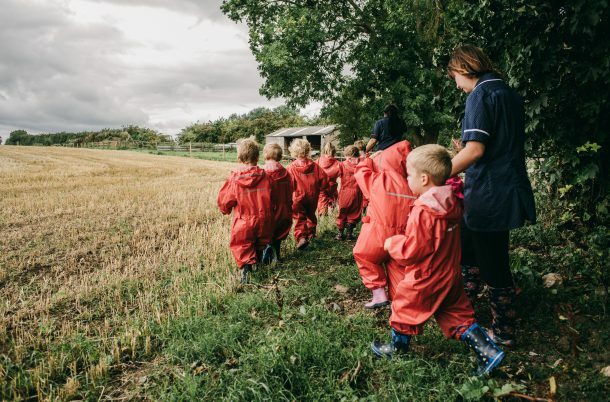 At High Bank Day Nursery we pride ourselves on delivering a varied programme of activities that are not only fun for the children but complement the learning goals set out in the Early Years Foundation Stage. We have a fantastic outdoor space, including sheltered area, mini-farm and forest school, so we spend just as much time outside as we do inside, including eating snacks and tea. We believe very strongly in bringing the inside outside. In addition to this, we also regularly take the children into the community to involve them in a wide variety of external activities. These can range from a tour of a fire station where they get an exciting hands-on demonstration, through to visiting a garden centre where they can grow their own plants. We also get parents, who lives in places such as Darlington, Richmond, Northallerton and Barnard Castle, to come into the nursery to talk about their professions, e.g. doctors, dentists, midwives and police officers. We also mark important dates in the calendar, such as Easter, Ramadan, Christmas, Mother’s Day and Father’s Day and organise activities around this to enhance the children’s learning. At the end of each year, children from our pre-school room put on a nativity play in a local village hall, which is always a highlight. We also hold a graduation ceremony, complete with graduation dress, for children leaving the nursery to celebrate their time with us.